The 18 member team that will travel to Seychelles for the return leg of the Africa Confederations cup has been named by coach Zdvarko Logarusic. Therefore Gor Mahia will need to be extra careful and avoid falling behind. It will not be easy to score an equalizer when Anse Re Union park the bus in front of their goal to defend a one goal lead. Careful means avoid the kind of mistake that led to Anthony Akumu receiving a red card. Note that when he played the ball and it was intercepted by a header, there was no one behind him to cover the Seychellois striker Rajoy. There should have been a sweeper to cover Akumu. You cannot throw all players forward no matter how badly you need a goal. However the worrying issue has been the lack of goals as is clearly indicated by the weekly online poll. Coach Logarusic has been focusing on sharpening the front line which was badly wanting during the first leg. Coach Logarusic has been focusing on sharpening the front line which was badly wanting during the first leg. Considering the dramatic improvement of Edwin Lavatsa, it stands to reason that he would be in the starting lineup especially given that of all Kogalo players, Lavatsa ndio ana mbio. And the Seyechellois dont deal well with wasee wale wana mbio. Lavatsa gives Kogalo a good chance of getting the much needed early goal that will prevent Anse reUnion from parking the bus. Gor Mahia coach Zdravko Logarusic was elated with his team’s performance against ten man Tusker who they edged out 5-4 on post match penalties to lift the SuperSport/DSTV Cup on Saturday. Logarusic said he was impressed with his team despite failure to score goals during regulation time to decide the winner. Club captain keeper Jerim Onyango who was substituted at almost stroke of full time, echoed his excitement. Gor Mahia will resume training before they travel to face the latter in a Caf Confederations Cup match next week. Gor Mahia bea Tusker 5-4 on post match penalties to lift the 2013 DSTV Super cup. The two teams had settled to a scoreless draw during the 90 minutes and went straight to penalties. The Brewers has been reduced to 10 men as early as the 2nd minute when goalkeeper Boniface Oluoch handled the ball outside the 18 yard box to stave off what looked like a certain goal. Gor Mahia had the upper hand in the first half as the Brewers sought to sit back and wait for counter-attacks. Dan Sserunkuma, Edwin Lavatsa and Paul Kiongera gave the Tusker defence nightmares with their marauding runs. However yet again Gor Mahia could not utilize the chances that came their way. It was a drama filled penalty shootout. Gor Mahia scored their penalties through Dan Sserunkuma, Edwin Lavatsa, Kevin Omondi, Donald Mosoti, Solomon Nasio. But Tanzanian Ivo Mapunda was the hero of the day once again. He had been brought in as a substitute specifically for the penalty shootout. He did not dissapoint and saved two penalties. Moses Odhiambo and Israel Emuge saw their efforts saved by George Opiyo. It was ample revenge for Gor Mahia who had lost to Tusker on penalties during the same fixture last year. Goalkeeper, Jerry “Jagoal” Onyango has been voted as team captain for the 2013 season. Jerim has been the captain since 2011 with former captain, left full back Julius Owino left the team after a long career with the club. Ther election took place amongst the players. Other contestants were Moses Odhiambo, Anthony Akumu and Kevin Omondi. Of these, Onyango was the most logical choice. He has the best leadership abilities of the current group pf players and is one of the longest serving players. Onyango had a good season in 2012 that saw him regain his place in the national team after a shaky 2011 season that saw many fans calling for his replacement. Onyango has a long way to go however before he can scale the heights of other legendary and inspirational Gor Mahia skippers like Allan Thigo, Peter Otieno “Bassanga” and Austin Oduor, all of whom lifted multiple trophies. Fans will be hoping that Onyango will be the one to lead Kogalo back to the promised land after a 17 year hiatus. In a move that is likely to appease those who have been clamouring for a youth movement, Upper Hill school have announced that they will partner with Gor Mahia FC. According to a story published in the Star newspaper, students who excel in football to be attached to the club. Five players have already been seconded to the club for trials : Michael Obunga, and Calvin Odongo who are both midfielders, Martin Weilunga (central defender), Timothy Luda (attacking (midfielder) and Ronald Ochieng (an offensive midfielder). If the 5 prove their abilities, they could play for the club in the Tusker premier league. They were introduced to the club by school principal Peter Orero. Logarusic said he will assess the five players in rigorous trials and within seven days, he will be able to identify their ability with a view of using them in the second leg of the Kenya Premier League. If this plan comes to pass, it could be an excellent move for the club. Upper Hill already has access to talented players being a UNICEF talent development centre. Last year Upper Hill came close to winning the national schools championships before loosing to St Anthony’s Kitale which many suspected was fielding ineligible players. It goes without saying that exposing young players to a good coach while still in their teens will contribute immensely to their development.One of the coach Logarusic’s complaints when he first arrived was that senior players at Gor Mahia were tactically clueless and did not understand tactical aspects that are well known by 14 year old players in Europe. This is his opportunity to oversee the nurturing players at a younger age when they can absorb the lessons much easier. The Upper Hill school basketball team plays in the Nairobi provincial basketball league. Ideally, Gor Mahia would hire a qualified youth coach to work more closely with Upper Hill and field a permanent B team in the provincial leagues. The B team could act as the feeder club to the senior team. If properly done, Gor Mahia will have a pipeline of tactically astute youngstars who as Logarusic would put it, can think and run at the same time. Its a recipe for high quality football. Also the fact that the players would have beeen playing with each other since the youth ranks means that by the time they become senior players, they have built a lot of cohesion. Last year Kogalo went on an amazing run that took them from fighting relegation to taking the league lead with a match left to go. When they lost the league on the final day, many of the players and the fans were inconsolable. The draw on the final day left coach Logarusic so furious that he threw away his writing board at the end of the game. 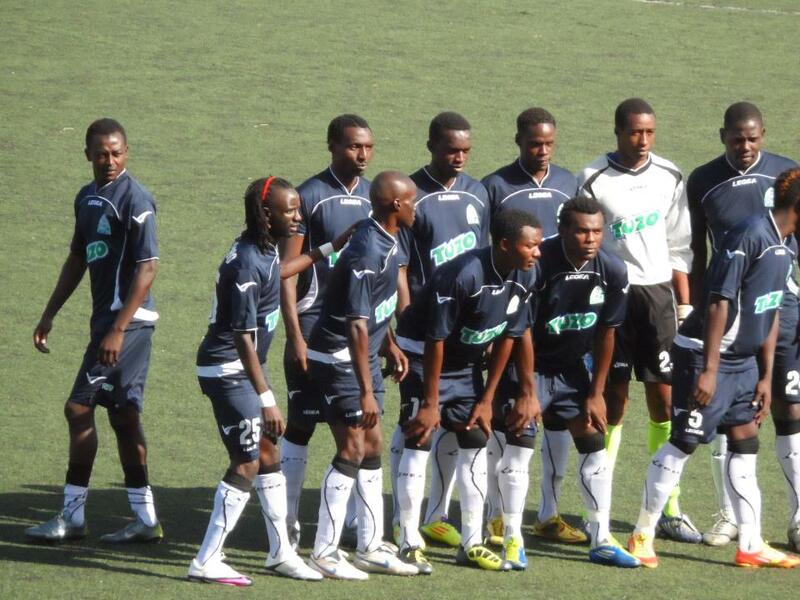 It was the second time in three years that Kogalo were in contention to win the league on the last day. Gor Mahia are determined to make amends this season and will use the events of last year as motivation. “Last year, we did not achieve what we wanted. We only won two trophies out of a possible three. We have to look at what went wrong and improve on it. As coach, I always seek to improve. I do not dwell on my success but my failures,”, coach Logarusic told the Daily Nation. This year, Logarusic is focused primarily on the league. ““Last year we won two trophies but there was no excitement among the fans. It is a long time since Gor won the league title and winning it this year will make all the difference for the club,” he said. ‘’ Logarusic told the Standard. Logarusic added that they would give their best in other competitions. Logarusic has indicated that the players are yet to attain full fitness. but pointed out he is working hard to ensure they are ready for the Saturday fixture. “We have just started running with the ball to lighten up our players. It was obvious before that most of them were heavy after a long lay off,” said the coach to the Standard. The 0-0 draw with Anse ReUnion has left Coach Zdvarko Logarusic an unhappy man. “I acknowledge the expectations were too much with many fans coming to the stadium with already set minds that we would win by a big margin,” Logarusic told supersport.com. “I am personally affected with the loss but we did not prepare well only managing to play a few games before this day. We have to go back to the drawing board and make amends before the second leg away which will be very difficult,” Logarusic told supersport. Logarusic added that he will be working on the weaknesses his team showed in order to correct them before the return leg. Coach Ahkong had indicated earlier that he was targeting a draw in the 1st leg. The scoreless draw comes as a shock to most pundits considering that the Kenya national team demolished Seychelles both home and away in 2012.The return leg is due to be played on March 2nd. Gor Mahia will have to play without the dependable Teddy Akumu who sacrificed himself to save Gor Mahia the blushes. Gor Mahia were held scoreless by Anse-Reunion in the CAF cup preliminary round match played at Nyayo stadium on Saturday. Gor Mahia played well in the 1st half but could not find the net. Forwards Dan Sserunkuma, Rama Salim, Moses Odhiambo and Paul Kiongera received several chances but wasted them much to the chagrin of fans. In the 37th minute, Logarusic introduced Kevin Omondi for Pablo Njuguna. This was an early sign that things were not going according to Logarusic’s plans. In the 57th minute, Edwin Lavatsa came in for Paul Kiongera. Lavatsa was active throughout the second half making several runs. Anthony Akumu was given his marching orders on 68 minutes for a professional foul on Huso Sezoy who seemed destined to score.It happened when Gor Mahia through all their players into attack leaving the rear guard vulnerable to counter attacks. Akumu had little choice but to foul Sezoy who was already ahead. The game deteriorated in the second half. Gor Mahia showed no signs of finding the net. In the 83rd minute Moses Odhiambo sents a freekick wide. AnseReUnion were defending doggedly with all 10 players dropping back into defence. Gor Mahia have shown a lack of sharpness and a lack of coordination throughout the pre-season. Still all is not lost. 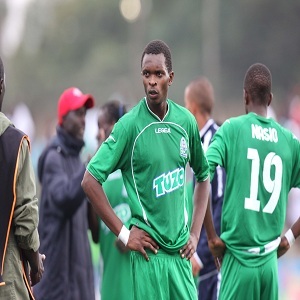 Gor Mahia could still advance by hold the Islanders to a 1-1 draw. Coach Logarusic has 2 weeks to come up with a strategy to ensure a better result in the return leg. Starting LINE UP: Fredrick Onyango, David Owino, Christopher Wekesa, Donald Mosoti, Ivan Anguyo, Antony Akumu, Joseph Njuguna, Moses Odhiambo (Cpt), Paul Kiongera, Rama Salim, Danny Sserunkuma. Subs: Ivo Mapunda, Musa Mohammed, Solomon Nasio, Moses Otieno, Ali Victor Abondo, Edwin Lavatsa, Kevin Omondi.